Gino Guitars is Italy's premier retailer of quality electric guitars and acoustic guitars. 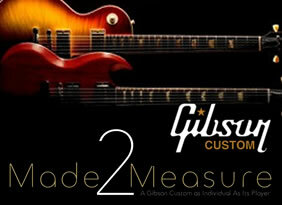 We proudly provide a huge range of Fender, Fender Custom Shop, Gibson USA, Gibson Custom Shop, Taylor Acoustic & much more. Be sure to check out all of our NEW ARRIVALS that get delivered daily!